Our students makes us so proud with their success stories from around the country — they took their financial destiny and shaped into something they could never imagine. total freedom. Creating more of these stories has become a passion of ours and we pursue it by helping out student slash their learning curve with the help of qualified coaches that care about your success. If you qualify, you can change your future, create financial security, and get help all along the way (no matter what market or what your experience level is). As the real estate market and economy evolve so does our program. We tweak and fine-tune as we go based on what’s working.Building wealth is a process, not just a one-time event, and we are in it with you until the end. Hundreds of people all across the United States have created a new life for themselves and their families finding true financial freedom. You can apply exactly the same process they used and we will help you do it. Your success is based on replicating the success we have proven through the Quick Cash Formula. Our coaches are experts in the formula and can give you the step-by-step guidance you need to get around the challenges of your specific market and add jet fuel your success. 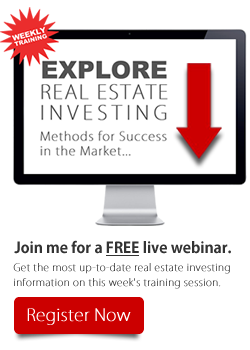 They will show you the hard-proven secrets we use every day to flip the real estate market on its head and make massive returns. Call us now at (800) 574-9221 to learn more about our coaching programs.